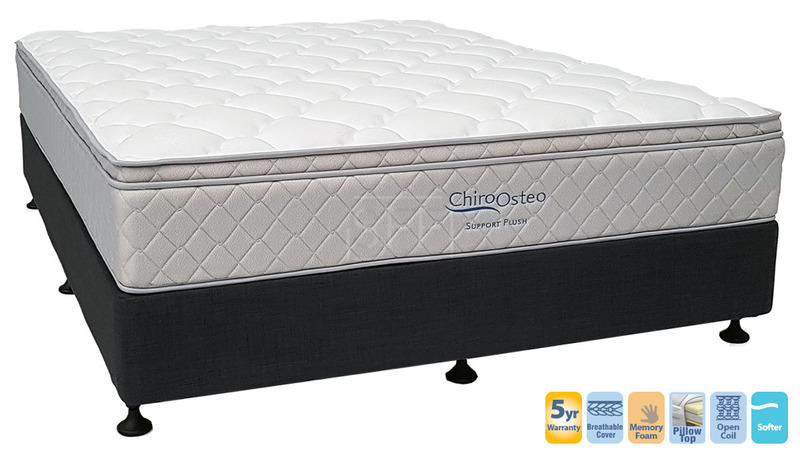 The Chiro Support Plush King Mattress is a great buy at our low prices. Supporting you is a High Coil Count (More springs) Inner Spring and for comfort you have the pillow top (extra cushion on top) which makes the mattress feel softer on the surface. Backed by a 5 Year Guarantee, you won't find better than the Chiro Support. Also available in Medium and Firm Support. Please contact us for details on these options. Ideal for those looking for a softer mattress.